After spending 14 days in the Algarve with wall to wall sunshine it was back to normality, with stories of floods and other aspects of doom and gloom. Anxious to put the boots back on I telephoned “The Navigator” to seek permission to join him and his good wife on their Thursday walk. Permission granted. 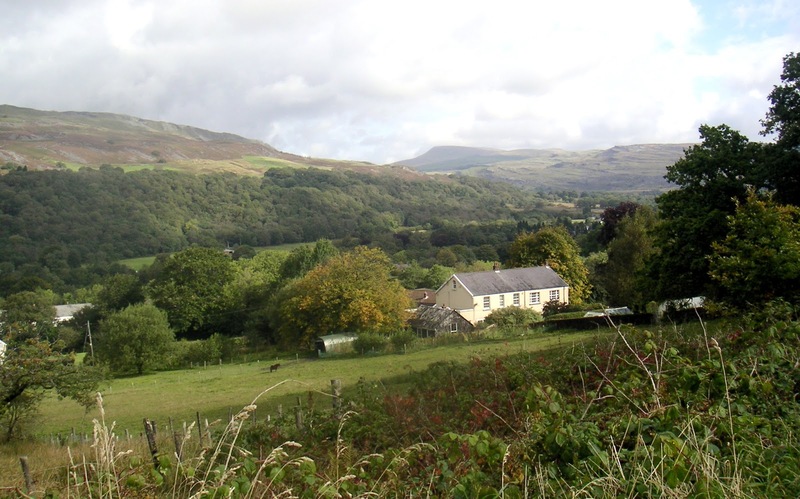 The plan was to travel towards Ystradgynlais and walk the hills towards the south and take in Henrhyd Falls on the way back. We parked the car in Caehopkin and headed south to the minor road which also forms part of the cycle route 43. This path gave some excellent views including to the east Fan Gyrhirych and Varteg to the west. We stayed on this path until the turning after Hendre Ladis. 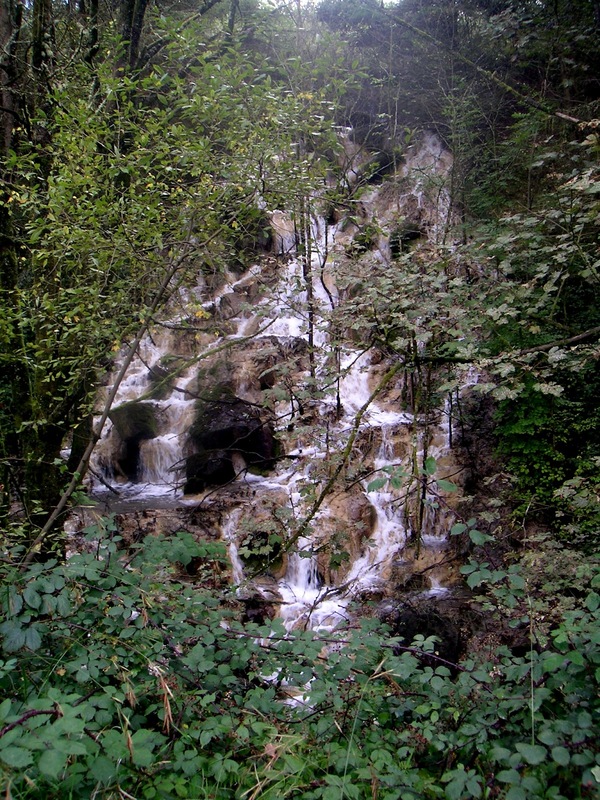 Just after the latter was a waterfall. 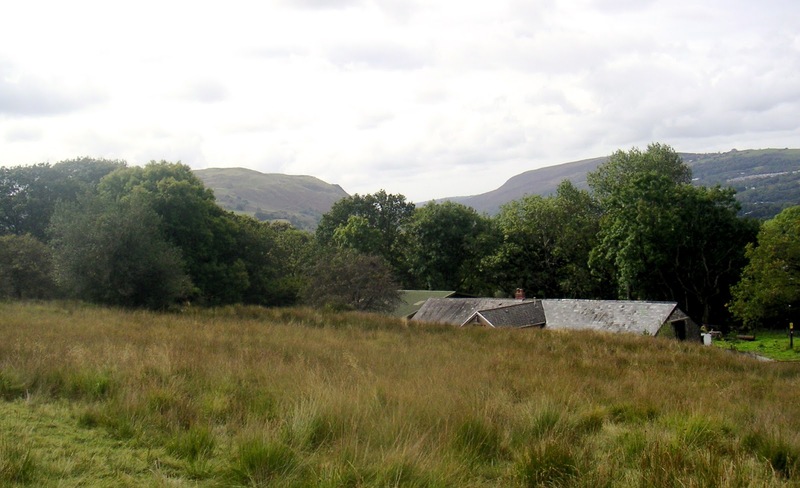 The way upwards towards Bryn Llechwen was through waist high grass and unseen holes and a real struggle. 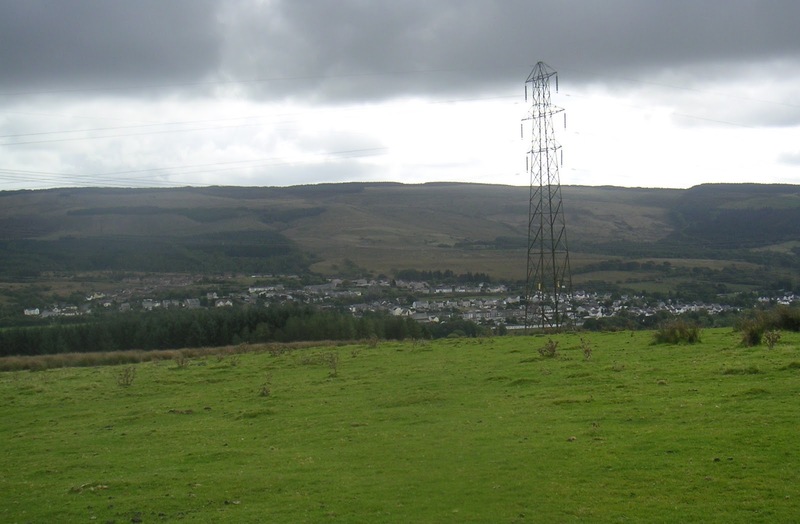 To recover, we stopped for lunch with views over the Nant Helen opencast mine where huge lorries could be seen carrying out the coal and into the Dulas valley and the town of Seven Sisters. After lunch we followed the the path to Cwm Mawr and onto Coelbren. 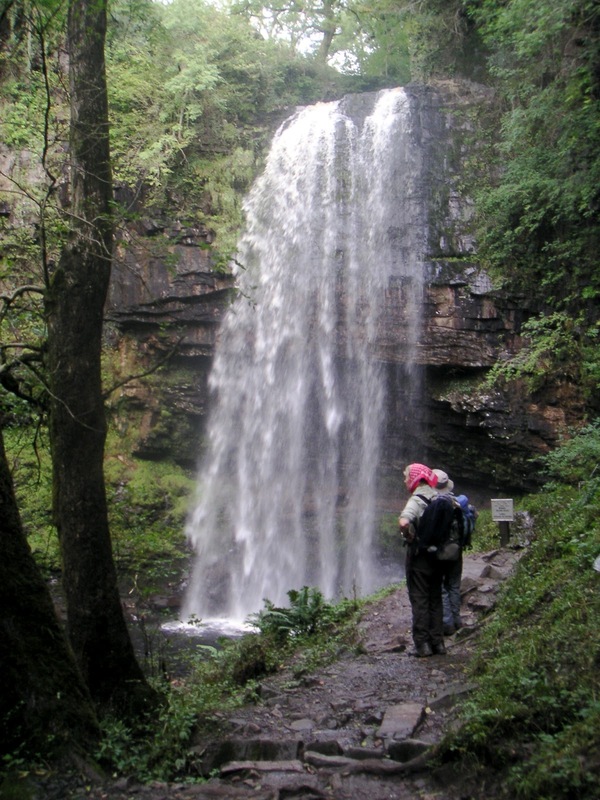 Our next target was the waterfall Sgwd Henrhyd the tallest one in South Wales. Click for info including the filming of the latest Batman movie. We met up with a local and he and “The Navigator” exchanged stories about the great freeze of 1986 when the falls froze. The local chap went indoors to bring out a photo of the event which was impressive. Apparently it was way back in 1940 when it last froze to that extent. The walk continued downstream back to Cae Hopkin. There really are some secret gems in your part of the world. I was a bit puzzled about your title – I am aware of the Batman connection but couldn't see the link. Perhaps it's an age thing?